Scroll down to see the top not-for-profit colleges and universities in Ohio offering online degree programs. Ohio University offers an array of associate, bachelor's completion, and master's degree programs in a fully online format. A few programs require a brief, typically two- or three-day, visit to campus. Associate degrees are available in arts and humanities, social sciences, individualized studies, science, and business management technology. The university's online bachelor's degrees are open to students who have completed an associate degree. Online bachelor's completion programs allow students to major in applied communication, applied management, criminal justice, customer service, technical and applied studies, or technical operations management. RNs can complete a Bachelor of Science in Nursing online. Students seeking a master's degree can earn online degrees in topics including English, social studies, business administration, sports administration, communications, health administration, nursing, engineering, or education. Online students have access to technical help and online resources including library services, tutoring, a writing center, veterans and military student services, counseling, and career services. Students may earn credit for experiential learning by creating a portfolio that demonstrates their learning. In addition to online degrees, Ohio University offers several associate degrees and two bachelor's through a print-based program that gives students a flexible independent study option through correspondence courses. The University of Cincinnati offers online programs leading to degrees from eight of its colleges. Students can earn associate, bachelor's, master's or doctoral degrees through programs that are offered entirely online. Career categories covered by these programs include education, criminal justice, human services, information technology, engineering and applied science, allied health sciences, nursing, business, and pharmacy. Classes are offered in an asynchronous format so students aren't required to log in at a particular time. To support distance learners, the University of Cincinnati provides a help desk for technical issues, and provides students with online library resources, online tutoring, test proctoring services and other help. Online students may be eligible for financial aid. According to the university's Office of Institutional Research, students enrolled in online master's programs at the University of Cincinnati complete their degree in about the same time as on-campus students, 2.08 years for online compared to two years for non-distance students. Online students also had similar grade point averages to their on-campus counterparts. Online grad students had a GPA of 3.64, compared to 3.69 for non-distance learners. Online undergraduate students had a GPA of 3.15, compared with 3.07 for non-distance learners. Students hoping to gain professional skills can select from nearly 20 online majors at Columbus State Community College. Associate of Applied Science degrees are available in a wide range of areas, including geographic information services, digital marketing, and health information management. The college also has an online Associate of Arts program. Online programs offer all necessary classes in an online or hybrid format, although some courses may require clinicals, labs or practicums. Once students earn their associate degree, they can take advantage of Columbus State's transfer agreements to complete their bachelor's degree at Bowling Green, the University of Toledo, or a dozen other colleges and universities. Columbus State also has more than 40 online career certificate programs. Cuyahoga Community College offers a wide range of degrees, for-credit programs, and professional development courses in a 100-percent online format. Another dozen or so for-credit programs are offered in a blended format where at least 50 percent, and in some cases up to 95 percent, of content is available online. Totally online options include transfer degrees that cover the first two years of a four-year degree, as well as degrees in court reporting and supply chain management. Most of the blended programs are business degrees, but a few blended programs cover dietary topics such as nutrition. Business professionals can earn their Lean Six Sigma belts through online classwork. Kent State University offers more than a dozen online degrees for graduate students, plus several online bachelor's degrees and associate degrees. The newest addition to the online graduate degree program is a Master of Arts in Art Education, added in the fall of 2015. Kent State Online also offers master's degrees in criminology and criminal justice, geographic information science, health informatics, knowledge management, liberal studies, and library and information science. Students seeking a Master of Education online can major in evaluation and measurement or in instructional technology. Kent State also offers an online master's for journalism educators. Bachelor's degrees are available in respiratory care, public health, insurance studies, technical and applied studies, and a Bachelor of Science in Nursing for Registered Nurses. Kent State also offers online programs leading to an associate degree in allied health management technology, environmental management, or computer technology. Online students have access to 24/7 technical help. Out-of-state students enrolled in an approved fully online degree program pay a $10 per-credit-hour non-resident fee on top of the regular credit-hour in-state tuition for each course. Online classes also incur a per-credit-hour distance learning fee. Franklin University is an accredited, nonprofit school that specializes in adult students who are returning to school. Through its online division, Franklin offers about three dozen undergraduate degrees, nine master's degrees, and three doctoral programs. The doctorates are in business administration, healthcare administration, and instructional design leadership. Most of the master's programs are in business fields, along with computer science and public administration. Most undergraduate programs are focused on business or technology, although degrees in nursing, social sciences, and communications are available. Franklin University's classes are delivered in an asynchronous format that allows students to log on and learn when it suits their schedule. All students are assigned an adviser who assists with processes such as transferring credits. Sinclair Online at Sinclair Community College has traditional online degree and certificate programs, and it also has a program called FlexPace that allows students to complete coursework at their own speed. FlexPace is for highly motivated students who can achieve at least an 80 percent in their classwork. Career certificate and associate programs available in the FlexPace format include network engineering, software development, and security system administration. If you want a traditional online format, Sinclair has more than 200 traditional online classes, with 14 associate degrees and 21 certificates. Students who want to transfer to a four-year school can complete the Ohio Transfer Module or an entire associate degree online. One-year and shorter-term technical certificates are available. Ohio Christian University has online programs for adult learners, whether they are just starting college by earning an associate degree or they are ready to pursue a master's. OCU's accredited programs are in fields such as business, ministry, and human services. Students in the online programs move through their coursework with the same group of students, called a cohort. They take one class at a time, and classes are delivered in an asynchronous format, with no need to log onto your computer at a set time. Instructors set weekly deadlines to keep you moving through the material. The undergraduate business program has 11 concentrations, the MBA has six concentrations, and the Master of Arts in Ministry has two concentrations. Stark State Community College provides students with more than 230 learning options, from associate degrees to short-term certificates, and many of these can be earned entirely online. Students who want to complete the first two years of a bachelor's degree before transferring can earn an Associate of Arts or Associate of Science online. Technical associate degrees in eight business majors and six IT majors are 100 percent online. Stark State's online learning division, eStarkState, also provides the classes for about a half-dozen one-year certificates and 10 career enhancement certificates, which take less than a year to complete. UT Online runs programs at every rung of the academic ladder. Business and IT programs abound at the associate degree level; several of those are bulked up to create some of the school's 10 online baccalaureates - with a BS in Criminal Justice, a Bachelor of Education in Early Childhood Education and an RN-BSN program rounding out the selection. Nearly half of the school's dozen master's degrees relate to education, and the school supplements these with endorsements and three Education Specialist degrees, not to mention a PhD in Curriculum and Instruction - Special Education. Healthcare pros also will see a lot to like, including an Online MS in Nursing - Nurse Educator and a Doctor of Nursing Practice. Lorain County Community College provides about 300 different online courses, and that is more than enough to satisfy the needs of anyone seeking to complete a transfer associate degree online. Students using the online learning system can earn an Associate of Arts degree, which requires them to complete 62 credits, including 39 credits in for Ohio's transfer module. By completing the transfer module, students can be sure they have the general education requirements needed to transfer to a four-year college as a junior. Multiple sections of required courses, such as college composition, are available online each semester so students stand a good chance of getting the classes they need without being wait-listed. Ohio State University's online programs received high marks in the 2018 U.S. News rankings of best colleges. Among the accolades: No. 3 Best Online Graduate Nursing Programs, No. 8 Best Online Bachelor's Programs, and No. 18 Best Online Graduate Engineering Programs. OSU has about 18 online programs, from an associate in early childhood education to a Doctor of Nursing Practice. Engineering degrees include global engineering leadership and welding engineering. Aside from nursing, healthcare-related degrees including bioethics, clinical research, and healthcare innovation. The College of Dentistry offers a bachelor's and master's in dental hygiene. Courses are typically delivered in an asynchronous format, and many allow full-time and part-time enrollment. OSU plans to add certificates to its online offerings. Tiffin University offers online programs that allow students to complete a bachelor's degree or earn a master's degree. The online program gives undergrads the flexibility of six start times a year - January, March, May, July, August, and October. Online bachelor's programs lead to degrees in government and national security, professional studies, psychology, accounting, management, marketing, organizational management, criminal justice, information technology, and healthcare administration. Several programs, such as criminal justice, offer a variety of concentrations. Online options for master's degrees include Master of Business Administration with a choice of nine concentrations, Master of Education in Educational Technology or Higher Education Administration, Master of Humanities with a choice of six concentrations, and a Master of Science in Psychology or Criminal Justice (with four concentrations). Online students may be eligible for financial aid, and the college offers a tuition discount to online students who are members of the Fraternal Order of Police and who are seeking a bachelor's degree in criminal justice or business administration or a graduate degree. The school also has a tuition discount for active military personnel and their spouses. Ashland University offers fully online degrees in criminal justice, nursing, education, business, and public health. The Bachelor of Science in Criminal Justice program starts online courses 10 times throughout the year, allowing students to earn the degree faster. Law enforcement officers may be able to get credit for their training. The RN to B.S.N. program allows nurses to earn a bachelor's degree in as little as 15 months with accelerated eight-week classes. The Master of Arts in Health and Risk Communication is the only program of its kind offered completely online in the United States, and students can earn the degree in as little as a year and a half. In the online Master of Business Administration program, half of the classes are electives so students can specialize in an area of their choice. Ashland also offers an online Master of Education in Curriculum and Instruction: Educational Technology and programs that lead to Ohio technology or TESOL endorsements. Nurses with a bachelor's or master's degree can earn a Doctor of Nursing Practice in an online program, and nurses with a bachelor's degree can obtain an Ohio school nurse license. The online Bachelor of Science (BS) degrees available at Bowling Green State University are completion programs that require applicants to have an associate degree in a field related to the major. In lieu of this, applicants must show the completion of the appropriate number of previous credits earned from an accredited institution or program. The following degrees are currently available: BS in Allied Health, BS in Business Administration, BS in Learning Design & Technology, and BS in Quality Systems. The university also offers online programs on the graduate level. Master of Education (M.Ed.) degrees are available in classroom technology, curriculum & teaching, learning design, special education, and reading. Students accepted to the MS in Special Education program can choose to focus their studies in one of three areas: assistive technology, autism spectrum disorders, and secondary transition. There is also an online Master of Science in Criminal Justice degree available. The program is comprised of 33 credits (11 courses) and can be completed within two years. The university currently offers four online certificate programs in the following fields: assistive technology, autism spectrum disorder, K-12 online teaching and learning, and in reading. Students must complete a minimum of 15 credits to earn a certificate. Cleveland State University (CSU) offers an online 27-credit RN to BSN program that can be completed in just one year. The program includes a field practicum experience during a student's final semester. Non-traditional students with some amount of work experience can enroll in the online Bachelor of Business Administration program available at CSU's Monte Ahuja College of Business. This is a 33-credit program. The third undergraduate online program offered at CSU is a Bachelor of Arts in Organizational Leadership, which can be completed in two years. This is a degree completion program for students with 60 transferrable college credits. On the graduate level, CSU offers an online Master of Education degree in the following fields: adult learning and development, community health promotion, educational technology, and gifted education. Two Master of Science (MS) programs can be pursued online - MS in Nursing and MS in Health Sciences. The university's accelerated Master of Business Administration degree is the first one-year MBA program with AACSB accreditation that is offered online. Two blended programs are available: the Inspired Leaders Principal Licensure program (22 credits) and a graduate certificate in data-driven decision making (18 credits). A nine-credit graduate certificate in bioethics is offered online as well. Students who are new to online learning can complete an online orientation workshop, which takes between one and three hours, to test the waters before entering an online program at Cincinnati State. If they decide online classwork is right for them, students can choose from more than 20 online degree and certificate programs. As a technical school as well as a community college, many of Cincinnati State's online programs have a technical focus, such as programs in coding, financial services technology, and health information technology. Others focus on business, including hospitality management and accounting. An online Associate in Arts is available for students who want to transfer to a bachelor's degree program. Union Institute and University has been involved in distance learning, which is now primarily online learning, for more than half a century. Union specializes in adult learners, and it has reshaped the undergraduate general education curriculum to focus on topics related to a student's major and life experiences. Undergrads can earn a bachelor's degree in education, business and leadership, health and science, or civil service fields. At the graduate level, Union has online programs leading to a master's in clinical mental health counseling, healthcare leadership, and organizational leadership. The doctoral program leads to a Ph.D. in Interdisciplinary Studies, allowing students to research their interests in fields such as education, leadership, or social change. Online coursework is popular at Clark State Community College, with about half of students taking at least one online class during their time at the school. The convenience of attending a class via computer whenever and wherever they want is the attraction for these students. The bulk of Clark's online programs are related to business, including a variety of Associate of Applied Science programs in topics such as banking, accounting, and real estate. There are also about 10 shorter-term business certificate programs, as well as online programs in computers and court reporting. Students who want to start work on a bachelor's degree can earn a transfer associate degree through online work at Clark State. The University of Akron offers a variety of master's degree online, as well as a nursing degree-completion program and a few graduate certificates in education. Online classes follow the same semester schedule that on-campus classes follow, and before taking their first online class students must complete an online orientation program. The online master's program in speech-language pathology is a collaboration between the University of Akron and the University of Cincinnati. Students begin the program in January, and the part-time program runs for eight semesters. The Master of Taxation program accepts students for entry in the fall, spring, and summer semesters. The Department of Educational Foundations and Leadership offers two online Master of Arts programs, one in instructional technology and one in assessment, evaluation, and data literacy. The same department offers online certificates in e-learning and educational foundations-assessment/evaluation. The online RN to BSN program, open to working nurses, has five start dates each year, and students can complete the program in two years of part-time study or one year of full-time study. Notre Dame College Online is for adult learners who want to earn a bachelor's or master's degree or otherwise advance their career. The majority of programs fall into the fields of business, criminal justice, education, and nursing. The criminal justice field incudes an undergraduate criminal justice program plus a Master of Arts in National Security and Intelligence Studies and a Graduate Certificate in Security Policy Study. In the field of education, students can complete a degree, gain licensure, or add an endorsement to a teaching license. Credits earned at an accredited school within the last five years should transfer, and the college evaluates other credits on a case-by-case basis. The University of Findlay has online programs designed for adult learners, including a degree completion program for students who have at least 61 credits to transfer to Findlay. Those students can earn a Bachelor of Science in Business Management with a concentration in health care management, business management, emergency operations, or environmental, safety and health. Undergraduate online courses are offered in eight-week blocks, and all the content is in an asynchronous format that allows students to do the work when it fits their schedule as long as they meet deadlines. Findlay offers two blocks of classes per semester, and online classes are also available over the summer. Three online graduate degrees are also available. Students in the MBA program can specialize in organizational leadership, certified management accountant, certified public accountant, or health care management. Students working toward the Master of Science in Environmental, Safety and Health Management may complete a certificate program in emergency disaster management, environmental management, or occupational health and safety management. The university also offers an online Master of Science in Health Informatics and a six-course graduate certificate in health informatics. The College of Education, Health, and Society at Miami University offers two graduate-level degree programs that can be pursued entirely online: Master of Arts (MA) in Instructional Design and Technology and Master of Education (M.Ed.) in Educational Technology. The MA program is designed for students who plan to seek careers in non-K-12 environments; these could include higher education, military, or health care settings. The program is comprised of 30 credit hours, including a thesis or special project course. The M.Ed. degree in educational technology prepares licensed P-12 teachers to design, implement, and integrate technology with learning in a classroom setting. Students who complete this program also earn the Educational Technology Coaching Endorsement. The Department of Educational Psychology offers an M.Ed. program with special education licensure that includes both online and on-campus components. The program is designed for individuals who wish to add an Ohio K-12 mild-Moderate Interventional Specialist teaching license to their existing teaching credentials, as well as a master's degree. Coursework for the following degrees are available both online and on campus: MA in Biology, Master of Arts in Teaching (MAT) in Biological Sciences, Master of Fine Arts: Nonfiction, Fiction, Poetry, and Screenwriting, and a Graduate Certificate in Analytics. The School of Education and Health Sciences at the University of Dayton offers several graduate degree programs that can be pursued entirely online. Many students accepted to these various programs however, choose to complete their degree by taking a combination of online and on-campus classes. The university's Department of Teacher Education offers an online Bachelor of Science in Education (BSE) degree in early childhood leadership and advocacy. On the graduate level, the department offers a Master of Science in Education (MSE) degree in the following disciplines: early childhood leadership and advocacy, interdisciplinary educational studies, literacy, teacher as leader, technology-enhance learning, and transdisciplinary early childhood education. An online Intervention Specialist Licensure Program (K-12 Mild/Moderate) is also available. The following online MSE degrees are offered by the university's Department of Educational Administration: educational leadership, Catholic school leadership, and leadership for educational systems. The department offers online principal licensure and superintendent licensure programs as well. Students can earn the following certificates and endorsements online: computer technology endorsement for teachers, early childhood leadership and advocacy certificate, reading endorsement for teachers, teacher as leader endorsement, and technology-enhanced learning certificate. Online courses for these programs are offered asynchronously for maximum flexibility and increased accessibility. The University of Northwestern Ohio offers a variety of online degree programs, ranging from associate degrees to an online MBA program. Online students have access to student services such as online registration, online book purchases, and library access. The MBA program can be completed entirely online. MBA candidates must complete 12 courses, including a management capstone. Bachelor's degrees are available in accounting, including a CPA track, business administration with an optional concentration in agribusiness management or marketing, forensic accounting, health care administration, marketing, sport marketing and management, or specialized studies. The health care and specialized studies programs require applicants to have an associate degree. Online associate degree options include accounting, agribusiness marketing/management technology, business administration, health information technology, legal assisting, marketing, medical office management, office management, specialized studies, sport marketing and management, and travel and hotel management. The sequence of courses for many of the majors start in the summer and fall quarters. The university recommends that students be motivated and have a GPA of 3.0 before attempting any online classwork. The programs are not open to Maryland residents due to state authorization rules. Cedarville University has a variety of 100 percent online programs leading to master's degrees or certificates in ministry, business, education, and health care. With most of the programs, students have the option of attending as full-time or part-time students. Courses are offered in an accelerated format of seven or eight weeks, with two sessions of courses offered each semester. Some of the programs offer as many as three start dates each year. Full-time students can complete the online Master of Ministry in one year. Students in the online MBA program can choose a general concentration or one in operations management. The college has four prerequisite classes for MBA applicants: financial accounting, managerial accounting, economics, and business statistics. Candidates for the Master of Education can earn a principal licensure certificate or reading endorsement. Students in the online Master of Science in Nursing program can choose from four tracks: global public health nursing (GPHN), nurse educator, family nurse practitioner, or family nurse practitioner with GPHN certificate. Mount Carmel College of Nursing offers online degree options for nurses at all educational levels. Licensed nurses who want to finish work toward their Bachelor of Science in Nursing can study full time or part time through Mount Carmel's RN to B.S.N. online program. The Master of Science in Nursing offers its nursing education track online. Applicants to the M.S.N. program must have a B.S.N. with an undergraduate GPA of at least 3.0. All applicants must have passed undergraduate courses in statistics and research. The college recommends that applicants complete at least one year of clinical experience before entering the program. Applicants can enter the program only in the fall semester, and students can complete the program designed for part-time study in seven semesters. Mount Carmel also has an online Doctor of Nursing Practice program that is open to advanced practice registered nurses with national certification as nurse practitioners, certified nurse-midwives, clinical nurse specialists, and advanced public health nurses. Students will take online courses for seven semesters, but they must come to campus in Columbus, Ohio, to present their DNP project in their final semester. Case Western Reserve University offers the following Master of Science (MS) degrees online: MS in Biomedical Engineering, MS in Mechanical Engineering, MS in Civil Engineering, and MS in Systems & Control Engineering. The MS in Biomedical Engineering program is offered jointly by the Schools of Engineering and Medicine. The MS in Mechanical Engineering degree is offered by the Department of Mechanical and Aerospace Engineering and covers topics such as fluid mechanics and biologically inspired robotics. Students accepted to the MS in Civil Engineering program can concentrate in either technical or structural engineering. The MS in Systems & Control Engineering degree gives students the opportunity to perform research in areas such as signal processing and optimization. The university also offers an online Master of Engineering degree. Starting in the spring of 2017, students accepted to any of these online engineering programs will receive a $5,000 scholarship. The online Master of Science in Social Administration (MSSA) degree is available with concentrations in community practice for social change, direct practice with children, youth and families, and direct practice in adult mental health. The MSSA program offers the Traditional Track for non-BSW students, as well as the Advanced Standing Track for students with a BSW degree. Walsh University has online graduate degree programs in education, business, and nursing. To ensure the programs give students flexibility and convenience, the classes are delivered in an asynchronous format that allows students to study wherever and whenever they choose, as long as they meet class deadlines. Online classes are offered in an accelerated format, with two eight-week sessions available each semester. The online Master of Arts in Education offers a general degree as well as tracks in reading literacy, 21st century technologies, and leadership with a principal license. Certified teachers can also attend online classes to earn additional endorsements, such as the teacher leader endorsement, reading endorsement, and the 4/5 endorsement for teachers with PreK-3 licensure who want to expand the range of grades they can teach. Students in the online MBA program can specialize in management, health care management, entrepreneurship, or marketing. Students in the Master of Science in Nursing program can choose tracks for clinical nurse leader, family nurse practitioner, or nurse educator. Walsh requires applicants to any of these graduate programs to have an undergraduate GPA of 3.0 or higher. GMAT or GRE scores may be required. The Franciscan University at Steubenville currently offers two Master of Arts (MA) degrees online - MA in Catechetics and Evangelization and MA in Theology and Christian Ministry. Each program consists of 36 credit hours and follows a rolling admission policy, allowing students to begin their studies at any term. Majority of the classes follow an asynchronous method of delivery, giving students convenient 24/7 access to all study materials and course lectures. Each program can be completed in as few as two years, although students have until seven years to earn the degree. The university also offers an online Master of Business Administration (MBA) degree that can be completed in under two years. The program is comprised of 37 graduate credits, 31 of which are required courses in topics such as business policy and strategy, managerial accounting, and production and operations management. Two additional online degrees are available - Master of Science (MS) in Education and MS in Educational Administration. Students accepted to either program typically earn their degree in 18 months. Each program consists of 36 credits and offers a wide range of elective courses. The MS in Education program offers two areas of concentration - online instruction and reading endorsement. Malone University offers three online degree programs: a B.A. in Business Management, a Master of Business Administration and a Master of Arts in Organizational Leadership. Online courses are also offered in numerous subjects for both undergraduate and graduate students. Undergraduate online courses are offered in academic disciplines like biblical studies, business, economics, English, history, math, marketing, psychology, sociology, nursing, biology, music, physical education and philosophy. Graduate online courses are offered in academic disciplines like counseling, leadership, business administration, education, special education and nursing. The Distance Education Division at Mercy College of Ohio has three programs that allow working professionals to earn a degree in a health care field. Mercy also offers students the opportunity to take part in internships and clinicals, and to perform service learning. Before they begin an online course for the first time, Mercy students can test drive a course and they also complete an online tutorial to help them become successful students. Mercy's RN to BSN program offers the coursework entirely online, and full-time students can complete the core courses in one year. Students can begin the program in the fall, spring, or summer semester. The Bachelor of Science in Medical Imaging is a degree-completion program for medical imaging professionals. Students can enter the program in the fall or spring semester. Courses are delivered in an eight-week format. Full-time and part-time students are accepted in the program, which has no requirements for clinical experiences. Mercy also has an online Associate of Science in Health Information Technology program. Students can arrange to attend their professional practice experience in their home community. Baldwin Wallace University offers several distance education programs in both hybrid and online formats, including an undergraduate degree in organizational leadership, an online intervention specialist license, an online principal's license and an online reading endorsement. It is the university's online graduate programs, however, that have garnered the most accolades. Baldwin Wallace's online MBA was named the 52nd best online MBA program by US News & World Report in 2015, and the university was voted as having the 168th best online graduate program by the same publication. 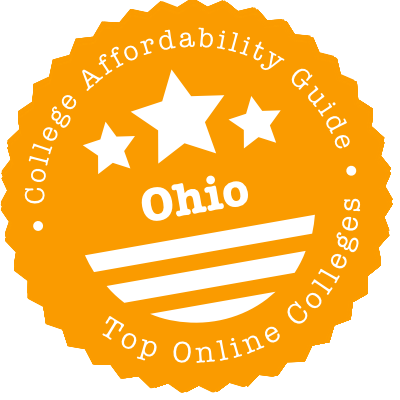 So you’re headed to Ohio for an online degree. That’s a great choice! Ohio is loaded with state initiatives that make attaining a degree affordable. We’ll take you to the one site where you can find every online degree or course in the state, tell you how to get a year of college for free, and point you toward the strongest programs. We’ll also tell you which schools have run into recent accreditation troubles before summing it all up with a list of resources that can take you one step closer to enrolling. If that sounds like a lot, don’t worry — we’ve kept it short and sweet. OhioLearns is a state-funded website that features two invaluable tools for the Buckeye State’s current and prospective distance learners. The first tool is a searchable degree and certificate catalog of programs from nearly 100 institutions, including community colleges, state universities and private colleges. Search by subject, institution, degree level and/or percentage available online. This isn’t a partial list of what’s out there; it’s everything! The second tool is a course catalog with similar parameters but which also allows you to filter by start and end date. And if you’re a high school student, you can even click a box to show only courses eligible for dual enrollment (see #2 below). 7th through 12th graders can earn high school credit and college credit simultaneously by enrolling in courses offered at any public college in Ohio (many private universities also participate). Once you’re admitted to a school as a College Credit Plus student, you’re allowed to take any course you meet the prerequisites for, including online classes. While not every institution places CCP courses online, many do, including both private and public colleges, and two-year and four-year institutions. Many states have dual enrollment programs, but Ohio’s stands out for three reasons. First, if you’re a high school student in the state and you choose to take part in CCP at a public college, you won’t pay a dime — tuition, fees and textbooks are all covered. Second, there are no credit limits. You can take as many courses as you can handle, including during the summer. In practice, then, it’s entirely possible to finish your freshman year of college for free. Third, should you seek a degree from a different college than where you took CCP courses, the credits you earn will likely transfer anywhere in the state, thanks to the Ohio Transfer to Degree Guarantee (T2DG) (see #3 below). “Guaranteed transfer-to-degree pathways,” which constitute foundational coursework toward a particular major. Visit Ohio Higher Ed’s course reporting system to see which courses count toward each. What might T2DG mean for you, a prospective distance learner? The big takeaway is that you have more options. If a community college is offering an inexpensive online course or degree that’s eligible for T2DG, you can enroll there and transfer when you’re ready. One of the biggest fears many students have about learning online is that they won’t receive enough academic support to succeed. The Ohio eTutoring Collaborative addresses those fears by providing free online tutoring to students at member institutions. As of 2017, over 30 of the state’s degree-granting public and private colleges participated by making trained tutors available 14 hours a day, seven days a week. Click on the member institution you want to attend to see which subjects have assigned tutors and how to use the system. Ohio colleges offer a lot of online graduate degrees, and the state places its fair share of programs on U.S. News & World Report’s list of Best Online Graduate Education Programs. But it’s particularly top-heavy in online nursing degrees, with a couple of schools — The Ohio State University and University of Cincinnati — floating near the top of rankings for Best Online Graduate Nursing Programs. The schools below are special. They’ve made the cut on both our “Top Online” and “Most Affordable” lists by meeting our criteria for quality, flexibility, price, and use of financial aid money. (This is reflected in the CAG Score next to each school’s profile in our ranking.) There are nearly 200 higher education institutions in Ohio, many of them with online programs. To see how these schools stack up against competitors in terms of graduation rate and debt load, visit College Scorecard. Mount Carmel runs online programs at the baccalaureate through doctorate levels. One selling point of the school is that its costs are transparent and easy to ascertain. Whereas many schools advertise reduced tuition but tack on myriad fees, extra fees are rare at Mount Carmel. Keep in mind that your payment may be lower after financial aid. Because Mount Carmel trains healthcare workers, it’s not uncommon for its graduates to have their school loans forgiven via the Nurse Educational Assistance Loan Program (NEALP). NEALP funds are reserved for Ohio residents, and priority goes to students with the most financial need. Twenty percent of the loan is forgiven each year the graduate works as a nurse in the state. Online Learning at Walsh University is your first port of call for Walsh’s online degrees & education endorsements. Details on coursework & credit transfers are listed under each degree page. Many courses are offered in an 8-week accelerated format to make it easier on your pocket! Tuition varies depending on the program—the Online FAQ section outlines exact costs. One thing to note: due to state authorization, some programs may not be available to certain out-of-state residents. Be sure to check. The Higher Learning Commission (HLC) accredits Ohio’s public universities, community college, and private not-for-profit colleges. HLC provides a list of its Ohio institutions on its website. From HLC’s website, click on any “Public Disclosure Notices,” which explain negative actions the HLC has taken against a school. A notice is a preemptive warning that the school is headed the wrong way in a particular area; probation is an acknowledgement that the school crossed a line and is no longer in compliance; and show-cause means HLC is threatening to cut ties with the school. There are a few reasons your school might not show up on HLC’s list of Ohio colleges. It may be a branch campus of a college accredited in another state. It may be nationally accredited, which qualifies students for federal financial aid but limits credit transferability. Or it may not be accredited. To find out, visit the Council For Higher Education Accreditation’s (CHEA) database of accredited institutions and search for yours. Herzing University, based out of Wisconsin, controls campuses in Akron and Toledo as well as an online campus. Although Herzing is accredited in good standing by the Higher Learning Commission, the Century Foundation criticized it in a 2015 report, The Covert For-Profit, claiming that its request to convert from a proprietary institution to a not-for-profit was, somewhat counterintuitively, a cleverly designed scheme by the owner to make more money off of students. The Higher Learning Commission placed John Carroll University, which offers online and hybrid classes to its students, on notice in early 2015 “because of concerns related to program quality, program review, assessment of student learning, financial management, shared governance, strategic planning, and systematic improvement.” The Commission will meet with the university in 2017 to determine if it has cleared up the issues. In the meantime, John Carroll remains fully accredited. Miami-Jacobs is an Ohio chain of for-profit schools operating traditional and online programs. In 2016 it shuttered four of its six campuses. Although its online students were unaffected by the closures, there’s usually only one reason for a proprietary school to suddenly close: They’re not making enough money. Ohio College of Massotherapy closed suddenly in 2016. Naturally, the Accrediting Commission of Career Schools and Colleges (ACCSC) withdrew its accreditation. So why mention it here? The school closed so suddenly that it didn’t even take down its website. If you’re using the contact form to request information, you may be waiting a long time. Remington College in Cleveland is part of a chain of career colleges blanketing the southeastern U.S. It also has an online campus. Although Remington is in good standing with its accreditor, the Accrediting Commission of Career Colleges and Schools (ACCSC), the Century Foundation criticized it in a 2015 report, The Covert For-Profit, claiming that its board of trustees is comprised of people who aim to benefit financially from its new status as a nonprofit. This calls into question the school’s commitment to serving students’ best interests. The Higher Learning Commission placed Urbana University, which runs several online degree programs, on probation in 2014. HLC extended the probation in 2016 because the school had still not addressed Commission concerns that its governing board was not “sufficiently autonomous to make decisions in the best interest of the institution.” The Commission will meet with the university in 2017 to determine if it has fixed the area of noncompliance. In the meantime, Urbana remains fully accredited. The Higher Learning Commission placed Winebrenner Theological Seminary, which offers online classes to its students, on probation in 2015 “because of concerns related to resources and planning.” The Commission will determine in 2017 whether the seminary has fixed the area of noncompliance. In the meantime, Winebrenner remains fully accredited. Higher Learning Commission (HLC): Ohio’s regional accreditor, the Higher Learning Commission, maintains a list of schools it accredits and discloses negative actions on its website. eStudent Services: eStudent Services is a member of the Ohio Technology Consortium. It runs two important services. The first is eTutoring, which provides students at over 30 Ohio colleges with free academic support. The second is OhioLearns, which features searchable catalogs of every online degree and course in the state. Ohio Department of Education: Like many states, Ohio runs several online public high schools. Visit the Department of Education’s website to see a list of e-schools. Ohio Higher Ed: Many of the websites and initiatives we’ve listed, including eStudent Services, are funded by the Ohio Department of Higher Education. Therefore, you can use its website as a portal to just about any distance education initiative in the state. In particular, we recommend that high school students explore College Credit Plus, a program that allows them to take free college courses. OhioLearns: OhioLearns falls under eStudent Services. Use it to find any online (full or partial) degree in the state as well as individual courses. Online Consortium of Independent Colleges & Universities (OCICU): Several Ohio colleges — Mount St. Joseph University, Ursuline College and Walsh University — are OCICU members, which enables their students to take online courses from other OCICU members. Select your home institution on the catalog search page to see available courses.